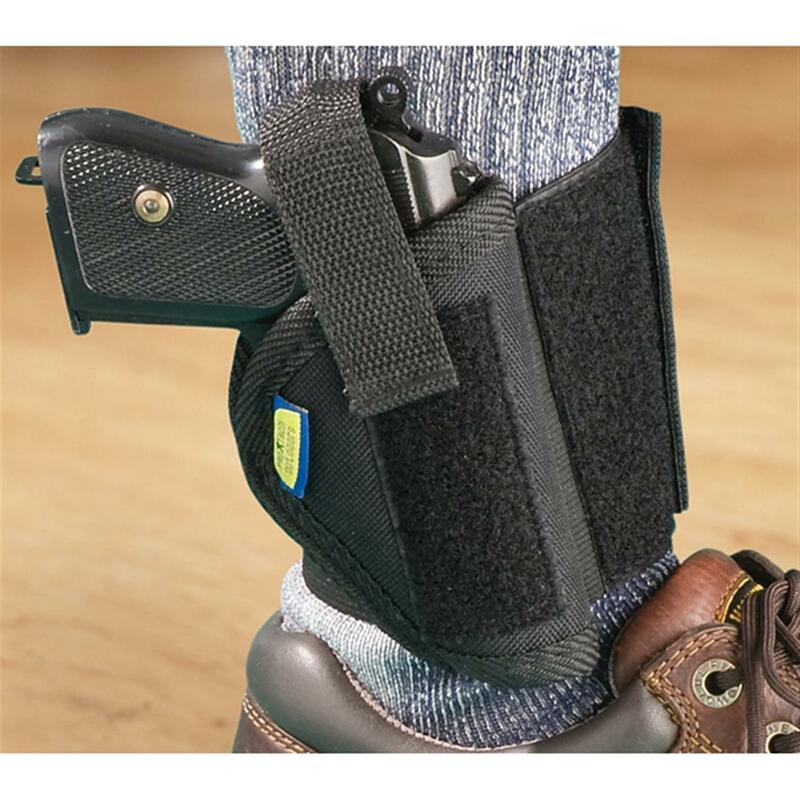 Keep a concealed insurance policy under your pant leg with this Nylon Ankle Holster. Whether for carrying your first line of defense or for backup in case your primary weapon fails, this Holster is a smart, affordable way to keep a small handgun at-the-ready. Pro-Tech Nylon Ankle Holster, Right Hand is rated 4.5 out of 5 by 127. Rated 5 out of 5 by holster from Great! Fits the LCP 1 perfectly. Seems to work well for the time that I have had it. Rated 5 out of 5 by ANDY from SO COMFORTABLE !!! SO EASY TO FORGET IT BEING WORN !!! Rated 5 out of 5 by Bob1381 from Be careful when specifying size I am sure it is excellent quality and value. However, I had to return mine because it was too small for my .22 semi-auto which I specified when ordering. SG needs to have a chart of guns that will fit a particular size holster. Rated 5 out of 5 by eddie from Good Value I have worn the ankle holster every day since it arrived. I carry a Glock 43 and it fits perfect. Rated 4 out of 5 by Kevin from Great little holster, will NOT fit a Ruger LC9 I got this hoping to be able to use it with my LC9 but it's far too small, the velcro on the keeper strap lacks well over an inch of being capable of overlapping/connecting. This will work fine for my TCP or my wife's LCP however. Rated 1 out of 5 by White Smoke from Comes up short This holster was advertised as fitting sub compact auto pistols. It does fit my LC9 Ruger but the retaining strap was much too short. Even at a jog the pistol does not remain in the holster. I guess if you stay sitting in one place the holster would suffice but if you are on the move you will lose your pistol! Carry your CCW the comfortable way.